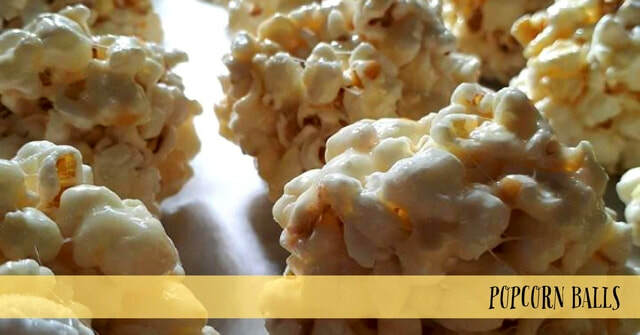 I love popcorn balls! I haven't made them in a long time. We used popcorn balls wrapped in foil as "crystal balls" to hand out during one of our trunk or treats several years ago. We decorated the back of our van as a haunted gypsy caravan complete with gypsies, ghosties and other related decor. It was fun. There are so many yummy recipes out there! I pinned some to the Two Hens pinterest board " Halloween". Here is one of my favorites. I found it on pinterest. It is a tad different from the one I used in the past, but yummy nevertheless! Melt the margarine, sugar and corn syrup together in a pot over medium heat. Add the marshmallows and stir until melted. Remove from heat and add the vanilla. Pour over popcorn and stir really, really well. I usually use margarine on my hands to form the balls, but spraying with cooking spray works very well, too. Form into balls. I got 24 balls out of my batch. The balls are about 2 to 2 1/2 inches in size.